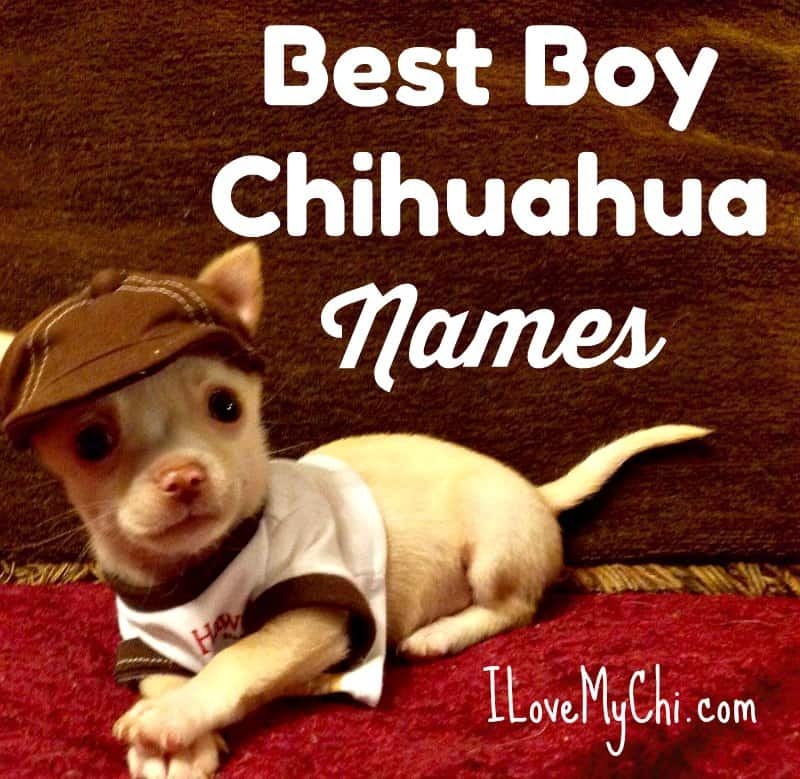 Do you have a new male chihuahua but don’t know what to name him? Well this post should help. 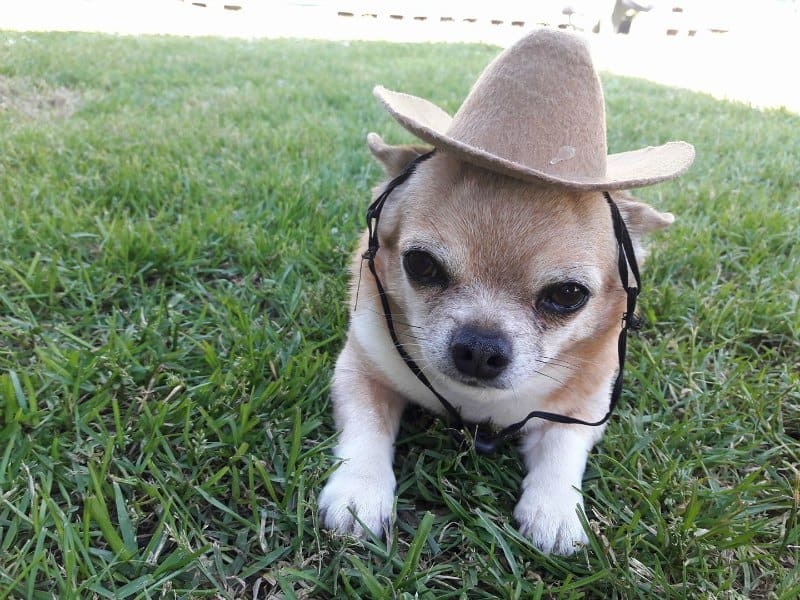 I did the female chihuahua name post a week or so ago so now it’s time for the boys. 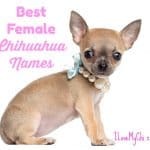 If you have a male chihuahua name that isn’t on the list, please leave it in a comments below and I’ll add it to the list. 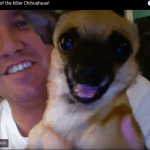 Ruger is a cute name…and a cute chi too! So cute!! But then they all are. 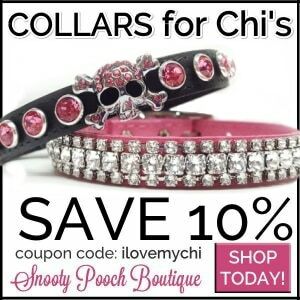 I love Chis. We just lost our Gypsy to cancer a couple weeks ago. She was 16. I lost my Spike 2 yrs ago in a freak accident, too!! So-I have joy and sorrow in my heart at the same time!! Spike was only 5 yrs. old and held my heart in his paws!! I’m so sorry you lost Gypsy Winston! I remember you telling me about the heartbreaking accident with Spike. So do you have any dogs left? Are you planning on getting any more? That’s a cute one Cheryl. I have had two male chibabies and one was named HENRY and now I have William. William is a stretch but Henry should be fairly popular. The first male chibaby I had was named Sam. I have had more female chibabies, first was Edith, Then Irene and now I have Rosa. Didn’t you have Pinto Bean too? Or am I thinking of someone else? My male had the name of Dewey. Maybe Dewey could be added to your list of male names. Ok, I’m adding it now. 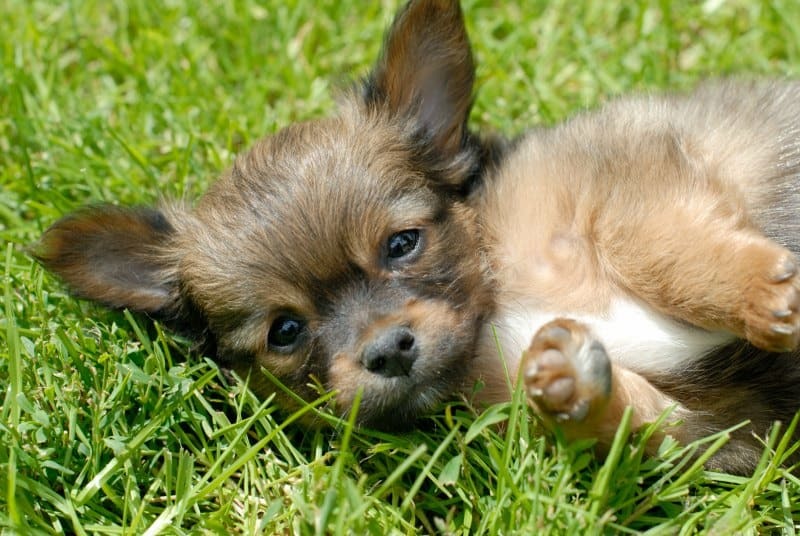 Ruger is a German name..
Yep but it’s still cute for a tiny dog like a chi. He look great for 15 Ivana. I added the name Sonny to the list. I’m so sorry you lost your Leo Ninette! My Kilo died from the same thing a year ago. My girl Shasta did too! So sorry! 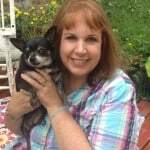 I lost my rescue Chi, Gizmo II (I have had two Chi’s named Gizmo) to congestive heart failure in 2016. I’m sorry for you’re loss. It’s a horrible thing to go through. I’m so sorry Debbie. Gizmo was so cute! Our Guacomole / Guaco , sweet boy. I love that name! And he is adorable! 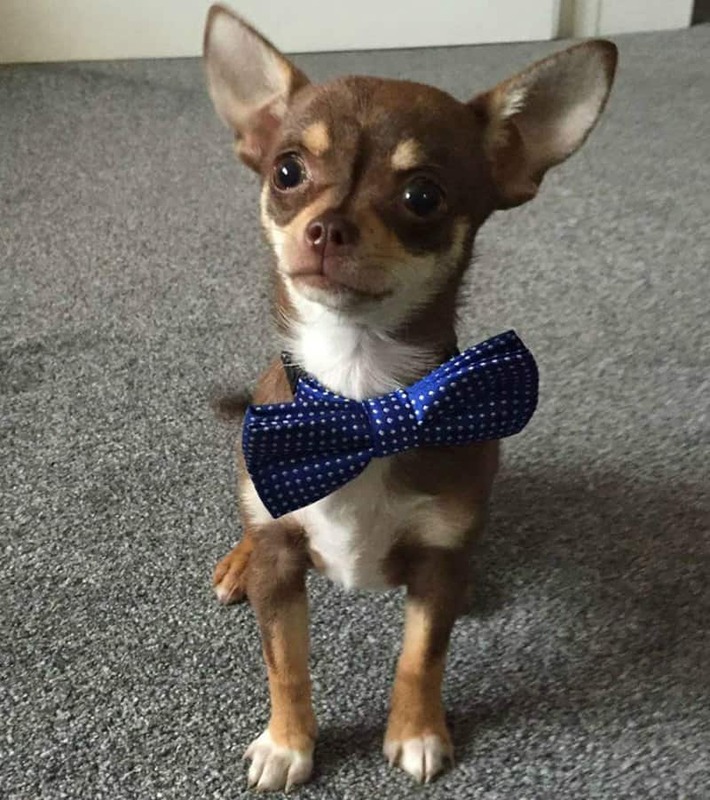 My little two year old brown chihuahua is named Titus. What a cutie! I added Titus to the list. 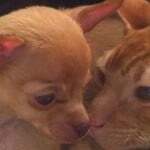 I have a 2 year old Chihuahua his name is Armin. He looks like an Armin. I added him to the list. I have a Hank, George and a Walter! LOL. Not typically dog names but I like them. 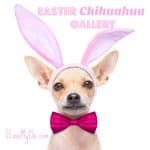 My Bentley would like to, politely of course, suggest “Bentley” as a very gentlemanly name for a Chi-boy. Bentley is a great name. Tell Mr. Bentley thanks for the suggestion. He’s a handsome boy by the way. Love the markings. 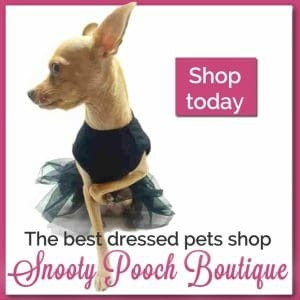 Are there supposed to be 2 dogs in the photo? I love his face! So cute! That’s a great name and he’s really cute! 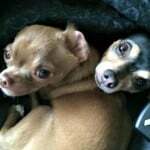 Tequila (Quila), is a cute name for a chi. I also like the names Toby and Rudy. Friends of mine had these names for their babies. I currently have a 15 1/2 year old little boy Yorkie. His name is Bernie. He’s the light of my life! Those are all great names Denise. I added the ones that weren’t already on there. Cute! I added it to the list. We had one that my dad named Pedro. That’s a great name. I added it to the list. 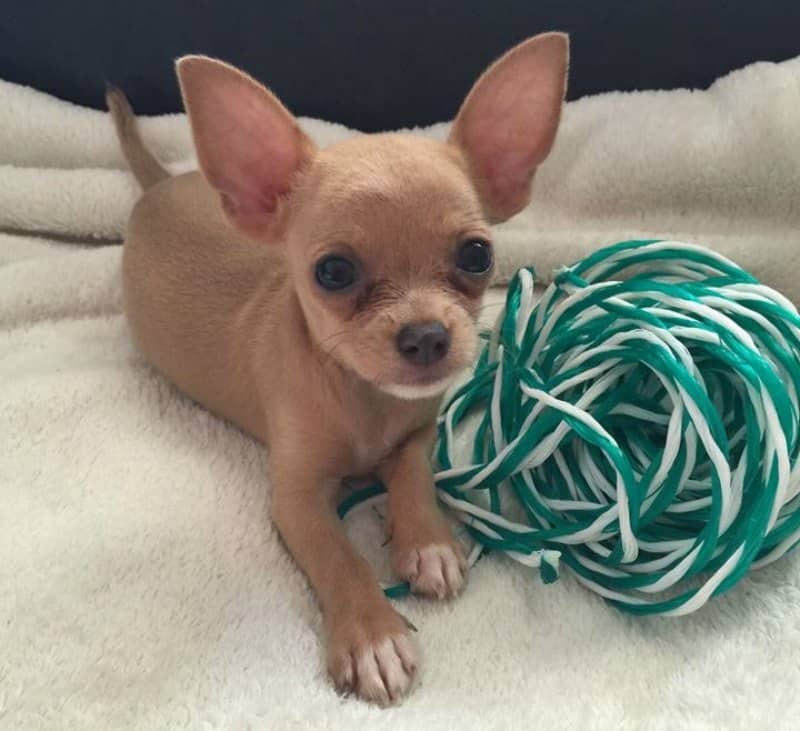 My little boy chihuahua is named Little Bubba. That’s cute. I added it to the list. He looks more chi than pug. I like the name Squiggy. Reminds me of Squiggy and Lenny from Laverne and Shirley. Bow that’s one I haven’t heard of before. Where does the batty come from?